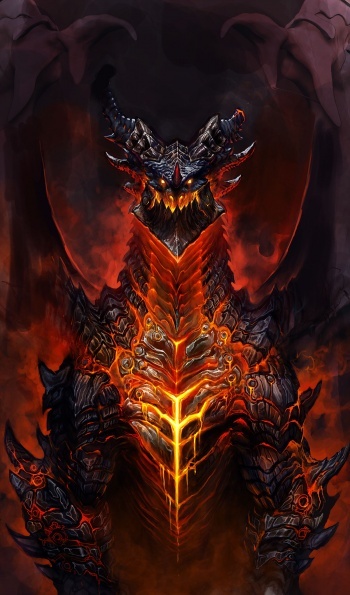 Deathwing is kicking off the World of Warcraft: Cataclysm during a football game this weekend. Are you ready for some druids!? Hold on... let me re-do that. Are you ready for some exclusive World of Warcraft: Cataclysm footage!? Well then turn your television dials or tune your DVRs to Fox this weekend because that's the first place you'll get to see new footage from the upcoming World of Warcraft expansion pack. Blizzard is gearing up to release Cataclysm on December 7, 2010 and even football fans aren't safe from Deathwing's swath of destruction. The developer has announced that the Dallas Cowboys vs. Minnesota Vikings NFL game taking place this Sunday, October 17 at 4:15 PM EDT which will be broadcast on Fox television will not only feature thrilling touchdown catches and vicious tackles, but also a brand new commercial for World of Warcraft: Cataclysm. The commercial is something WoW fans will want to see, because it'll be the first time anyone on the planet (outside of Blizzard) gets a look at Cataclysm's cinematic footage. Blizzard didn't say when the commercial will be airing, so it could be at halftime, during the two minute warning of the fourth quarter, or snuck in right after opening kick-off. It'd be best to just watch the entire game. World of Warcraft's cinematics are top notch, with Activision's Bobby Kotick even wanting to sell them separately. Blizzard always tops itself in my opinion, so expect something great this Sunday. Even if you can't stand football, that's what VCRs and fast-forward were invented for.